/ Modified jul 27, 2012 6:29 p.m.
Once a food staple to the indigenous people of Arizona, today mesquite pods are mostly overlooked by modern Tucsonans. But a group new to Tucson has rediscovered the mesquite bean as an important and economical food resource. Iskashitaa Refugee Network is a grass roots organization that helps rebuild refugee lives through their partnerships with volunteers and local organizations. 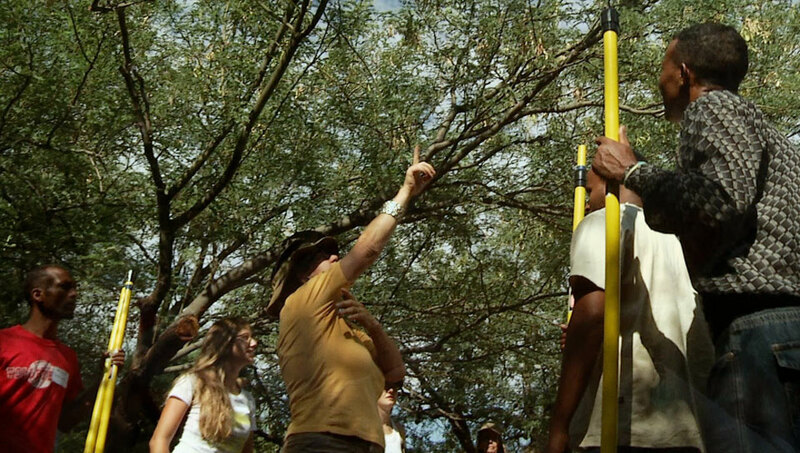 They are teaming with Tohono Chul Park to harvest their mesquite trees, and in the process they are learning about the unique plants that are a part of their new desert home. Tohono Chul Park on Tucson's northwest side was the scene recently of a visit by some of the city’s newest residents, refugees from a diverse list of counties experiencing strife. Their visit to the botanical gardens reaped a harvest of mesquite pods. Barbara Eiswerth, executive director of Iskashitaa Refugee Harvesting Network, says many of these new residents have experienced hardship on the path to becoming American citizens. Adjusting to a new culture has not always been easy. But through Iskashitaa, and the harvest of local foods, they are able to establish a bond with their new home, and their new neighbors.